Incised on the back: G G. Adams Sc. Albert is wearing the star and ribbon of the Garter. From the apparent age of the sitter, this bust must have been executed in the last decade of Albert's life, or even posthumously, possibly as one of a popular edition. No marble bust of Albert is known, and besides a medallion exhibited RA, 1848 (1315), the NPG bust is Adams' only recorded likeness of the Prince Consort. 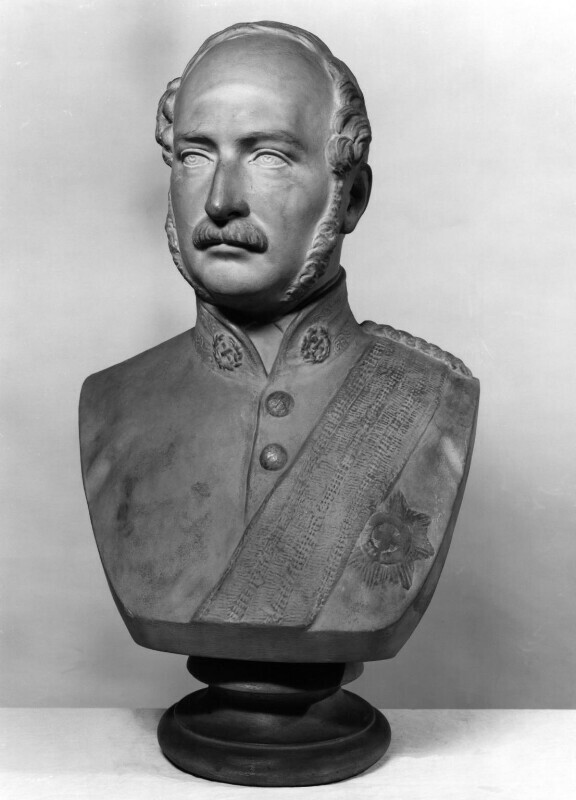 This bust was purchased at the same time as several other plaster casts of famous 19th century figures, and a marble bust of Sir William Napier (NPG 1197). The artist, purchased from his widow, 1899.